After billions of dollars and fifty years of effort, researchers are finally cracking the code on artificial intelligence. As society stands on the cusp of unprecedented change, Jerry Kaplan unpacks the latest advances in robotics, machine learning, and perception powering systems that rival or exceed human capabilities. 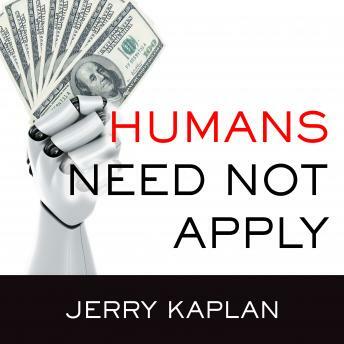 Driverless cars, robotic helpers, and intelligent agents that promote our interests have the potential to usher in a new age of affluence and leisure-but as Kaplan warns, the transition may be protracted and brutal unless we address the two great scourges of the modern developed world: volatile labor markets and income inequality. He proposes innovative, free-market adjustments to our economic system and social policies to avoid an extended period of social turmoil. His timely and accessible analysis of the promise and perils of artificial intelligence is a must-listen for business leaders and policy makers on both sides of the aisle.